Located in the mountains near Shiroishi, there is a ‘village’ that is filled with over 100 animals and 6 different types of foxes. 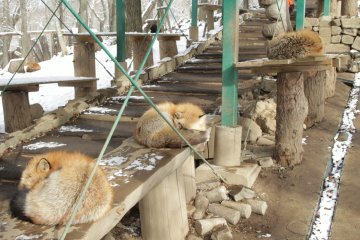 Zao Fox Village is one of the best places in Japan to go and see foxes. 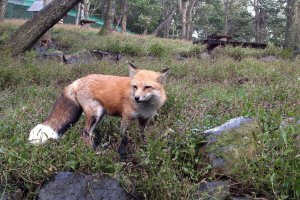 The foxes freely roam a preserve which visitors can enter. 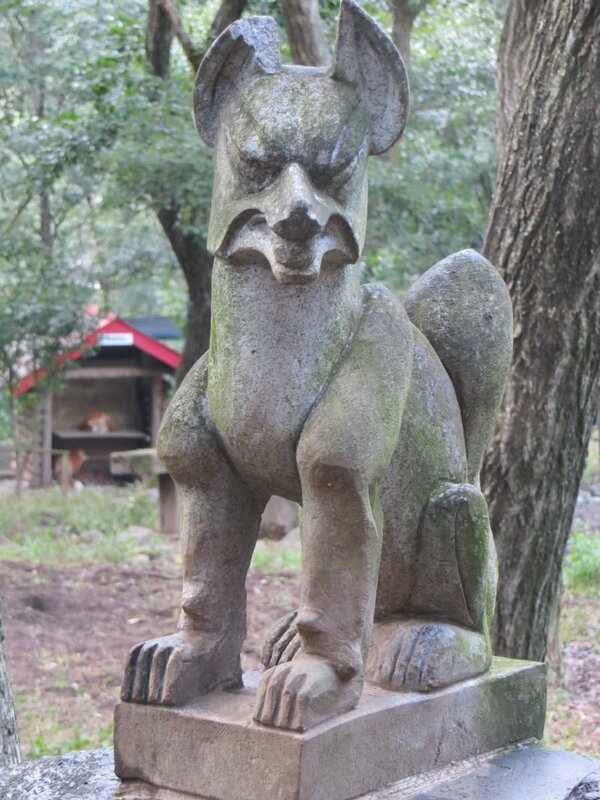 Foxes are popular creatures in Japanese folktales and lore, with much to learn about the history and culture behind them. However, the main reason to visit Fox Village is that they are just so darn cute. 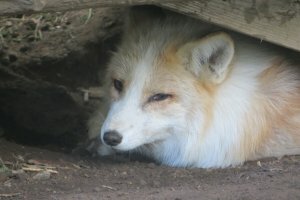 I wasn’t sure what to expect when I visited Fox Village. It sounded like an interesting place, but I didn’t know how many foxes there would be. 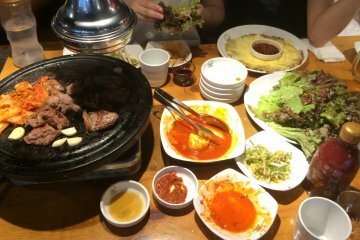 After visiting, I can say that I definitely was not disappointed. 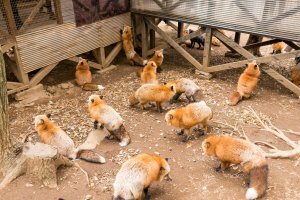 When you enter and pay the admission fee, you can also buy some food for the foxes for 100 yen. 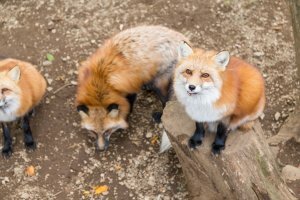 There are several rules about when and how to feed the foxes. 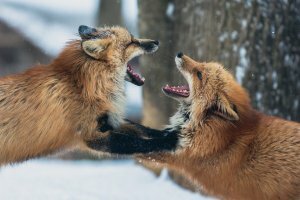 You can’t feed the foxes inside the cages, and you should throw the food instead of feeding the foxes by hand. 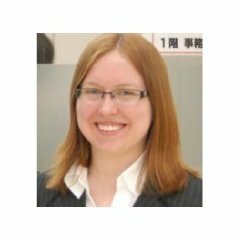 The staff will explain the rules to you in Japanese, and they have a sign with pictures and red Xs to help you understand. The first part of Fox Village is more like a petting zoo. 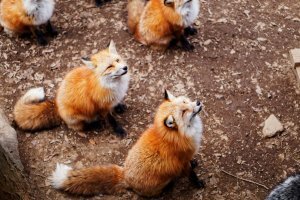 There are a few foxes, either in cages or with a collar and leash. 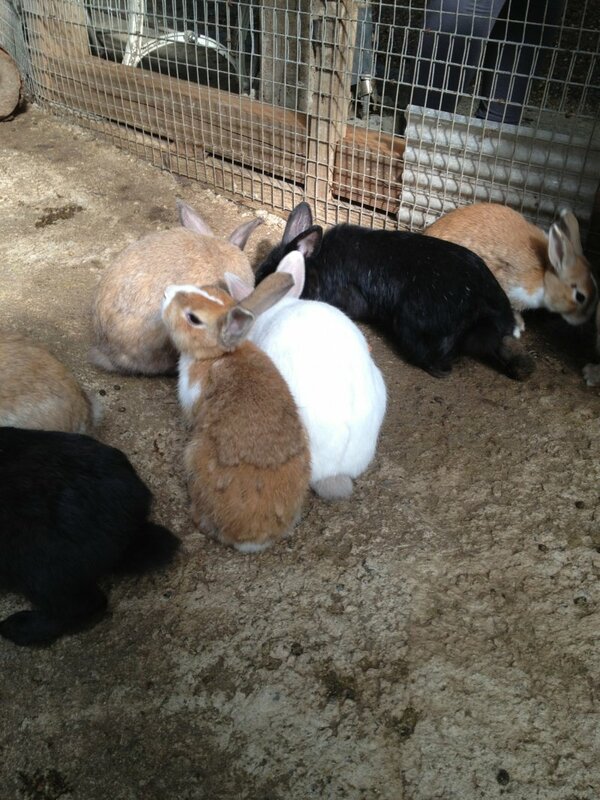 There are also some bunnies that you can pet and hold, as well as miniature horses and some goats. This part of the village alone was enjoyable. 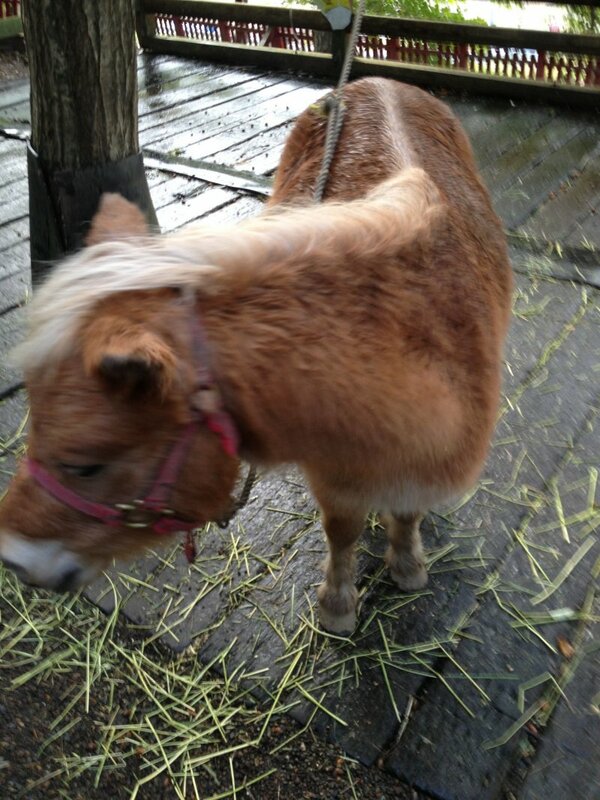 You can pet the animals and take pictures with them. However, at some point I started to wonder: “Is this all?” The answer is “No, this is not all”. The main part of fox village is through a door. 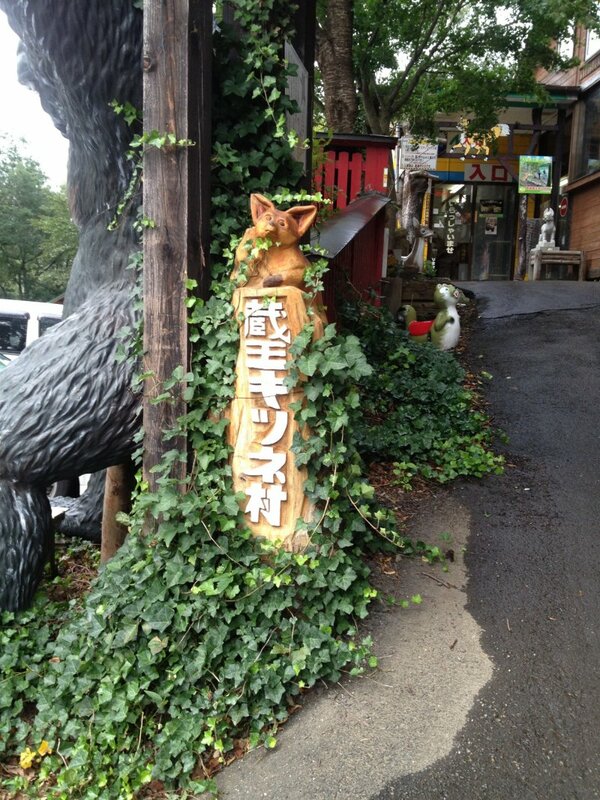 This area is open, and the foxes can walk around the entire area freely. There are lots of trees and bushes, and you can feel like you are actually out in the wilderness. Most of the foxes are out here, of all varieties and colors. Some will scamper up to you with curiosity, and others will run away. 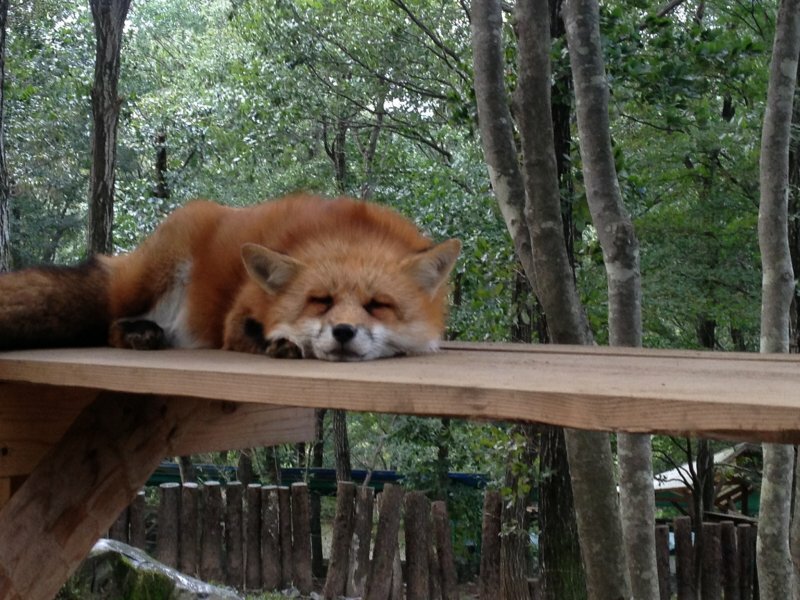 Many of the foxes are sleeping or resting, which is, of course, also very cute. After feeding some of the foxes, they might follow you around for a while, hoping for more. You can get really close to the foxes. However, they are wild animals. I would not advise trying to touch them because they may bite at you. Some of them are obviously unfriendly and will shy away from you. There was little to no supervision from employees in this area, so be very cautious. 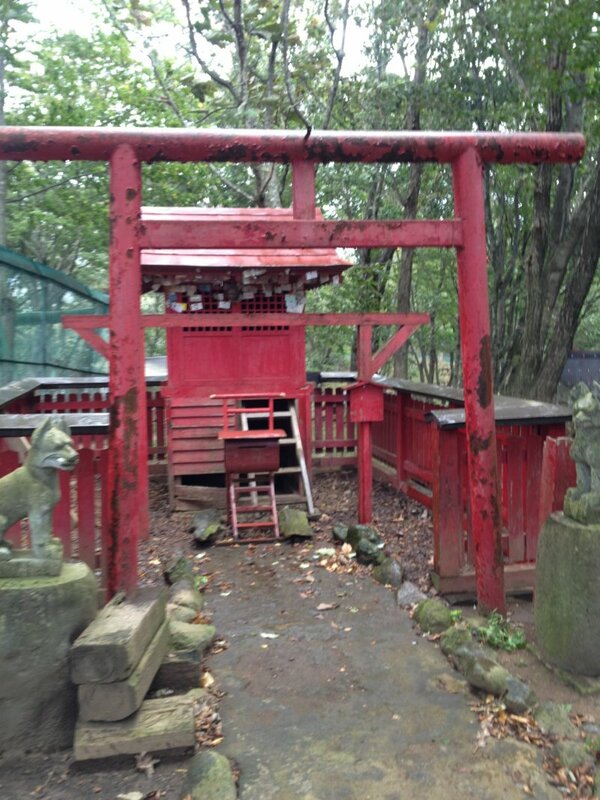 The preserve has structures and little houses for the foxes, and there is a shrine with statues and a torii too. The area is beautiful and fun to walk around in. 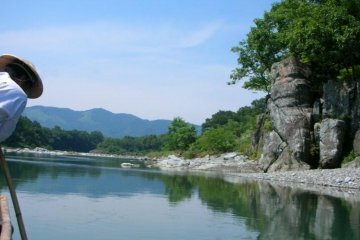 The Miyagi Zao mountains are also beautiful and scenic. 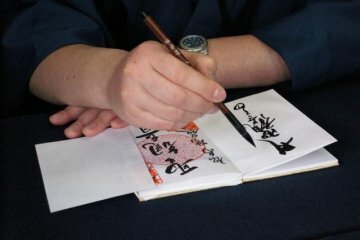 How much is a ticket to Zao Fox Village? 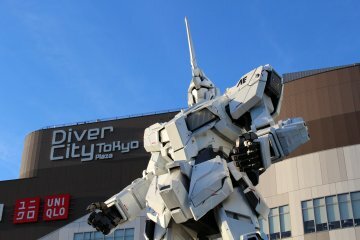 Currently, admission is 1000 yen for adults, or free for children aged 12 and under. 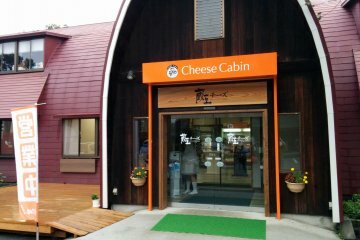 Fox Village also has a small gift shop and food shop. 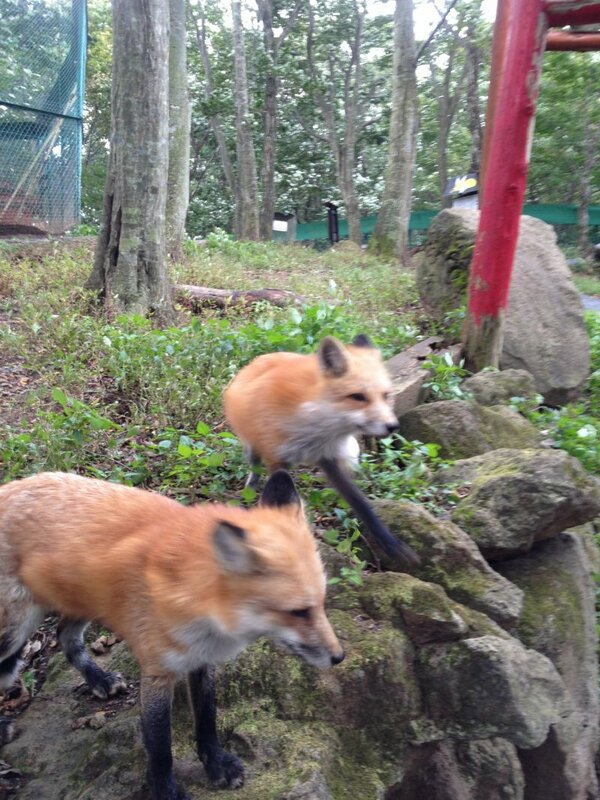 My trip to Fox Village was very fun and pleasurable. It was something different, an experience I couldn’t get anywhere else. 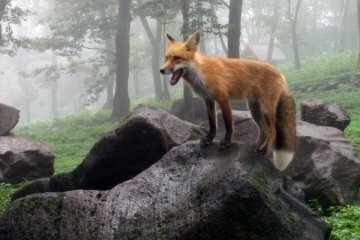 If you like foxes, nature, or cute things, I highly recommend making a visit. Fox Village is near the town of Shiroishi, which you can take a local or bullet train to get to. 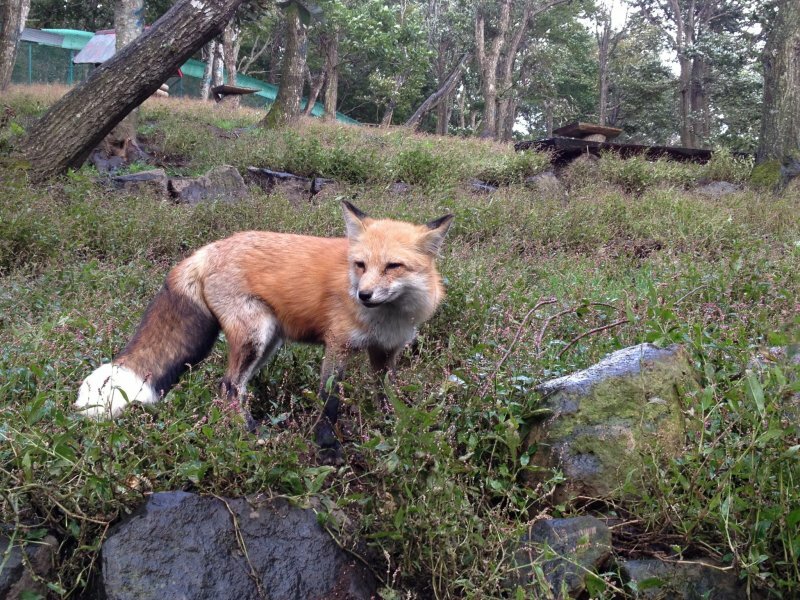 However, Fox Village is a 20-30 minute drive into the mountains from Shiroishi Station. You will need a car or a taxi. The drive to Fox Village is also very scenic and enjoyable, especially when you can see the autumn leaves. 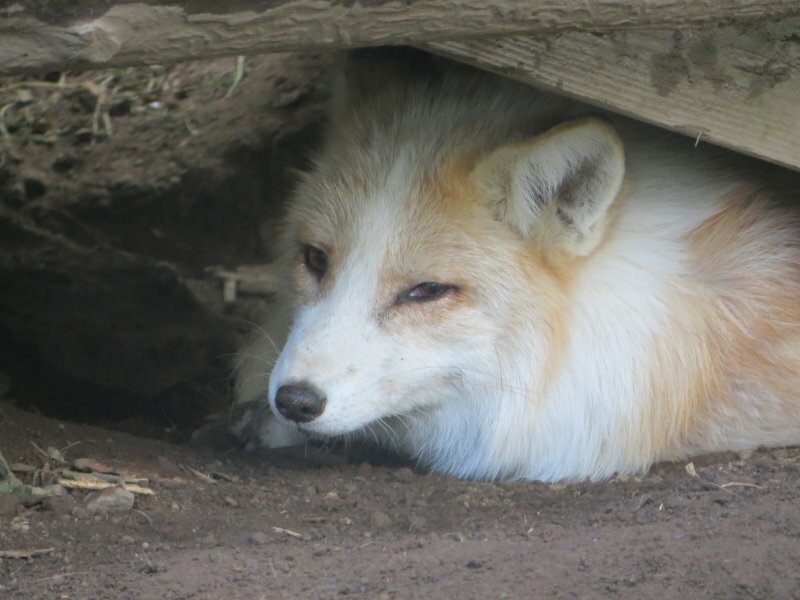 Visited in the winter and the foxes were pretty mellow, just standing about and napping. There were a few fights and all, but they seemed well fed, considering that none even went towards the feeding platform even when people approached it. My issue and the reason I am giving it 1 star is three parts. First, false advertising. They’re not a sanctuary despite what their English website claims. They are breeders and are not doing anything to conserve foxes or rehabilitate them. 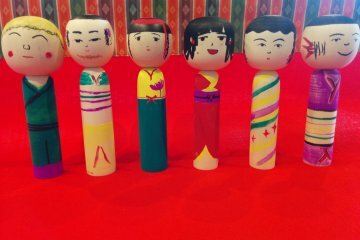 A quick glance through the other reviews will tell you as much since handfuls of them are missing ears or eyes despite being born and bred on site. 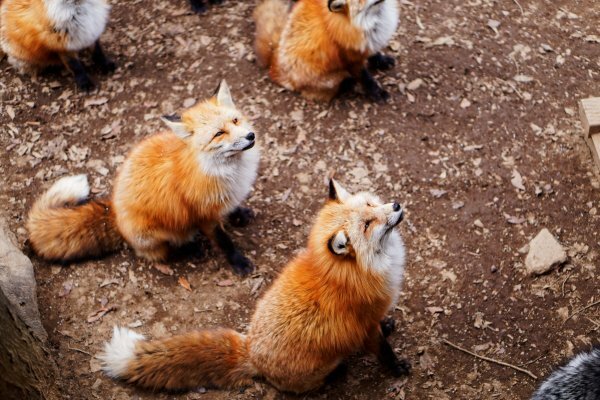 Second, there are TOO MANY foxes. It’s great for pictures but the foxes were fighting a lot and seemed on edge. FINALLY, AND THIS IS A BIG ONE. A staff member HIT ME in the head for taking photos in an area he didn’t like me taking photos in (despite my inability to see any signage from where I was— to the point he forcefully drag me to the sign) I will add to this that I have lived in Japan for 7 years, and speak fluent Japanese, so there wasn't a language issue-- but even if there was, there is NEVER a reason to use violence on someone! DONT TOUCH YOUR VISITORS! EVER! I do NOT recommend this place to anyone.